John's Universe: When Was Jesus Really Born? It's a question I have always wondered about. 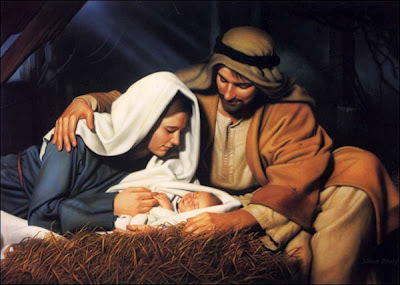 When exactly was Jesus born? I knew it couldn't be in late December, as it would be too cold for shepherds to be out in the fields at night. When I got older, I found out that December 25th was chosen by the early church as the time of Jesus' birth, so that the biggest Christian festival of the year would replace the major pagan festival of Saturnalia. So I decided to do a little research, and see what I could find on the subject, and share it here with others seeking the truth. At this site there is a rather scholarly article, with good citations from the Bible, Jewish traditons, and astronomy, claiming that Jesus was born in September , 5 BC, during the feast of Tabernacles. Using Vedic Astrology, which possibly the Wisemen (or Magi) used, this article goes into great detail to "prove" a date of September 10, 3 BC. This Author states that Jesus was born on September 11 3 BC, which if true, would be one of the great ironies of history. Here's another article which uses the Bible as a reference, and says Jesus was born September 29th 5 BC. This article by astronomer Colin Humphries, focuses on the Star of Bethlehem, and uses astronomy and astrology to that Jesus was born sometime between March 9 - May 4, 5 BC. Astronomer Michael Molnar, from Rutgers, Says that Jesus was born April 17, 6 BC. This article also focuses on the Star of Bethlehem, and doesn't give an exact date, but gives a complete study of what year Jesus could have been born, using biblical and astronomical references. This site doesn't have a date, but talks about astronomical occurances, and does have a cool video showing a triple conjunction of Jupiter and Saturn in the constellation of Picses. So the conclusion is - nobody knows for sure. It's not necessary to know when Jesus was born, just to believe.